Well, I’ve put my hook down. Yes, I am getting the shakes but not too badly because I’ve picked up needles. Yes, WoolnHook has turned to knitting for a while. 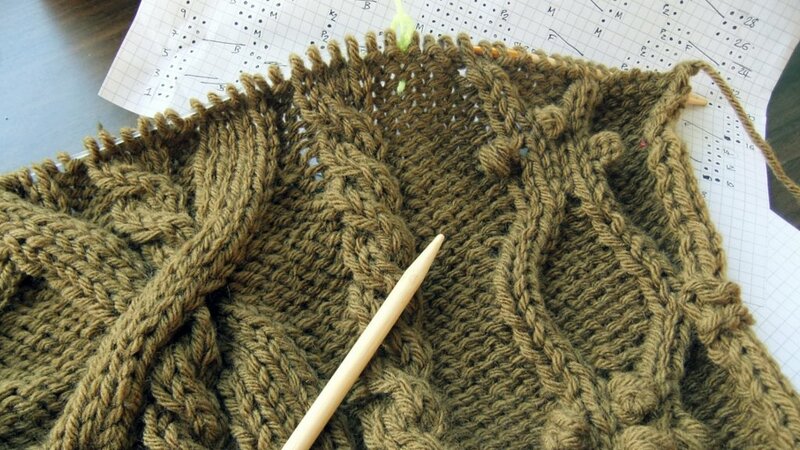 I’m working on a commissioned throw in a scrumptious brown which my camera refuses to photograph correctly. Its my own design so there may be a pattern available in the future. 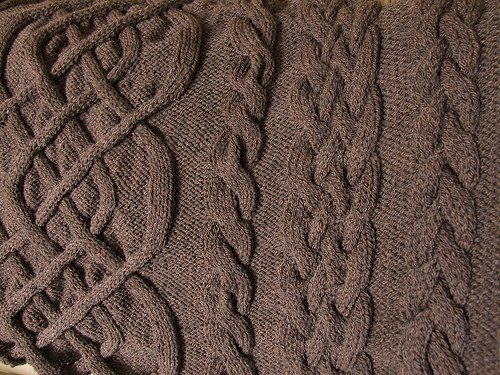 I’m still enjoying knitting it at the moment but I can forsee boredom will set in soon. I’m starting to miss the quickness of crochet. Here are some Progress So Far pictures. Please note the colour is much nicer in real life and my camera is in the Dog House. I’ve got a long way to go yet so I’d better get knitting! Oh how brave to return to the slow lane of knitting, I don't think I could! mind you that pattern is wonderful and even though your camera lies I'm sure that brown is gorgeous! I'm just learning to knit! It was horrible being a beginner again, but I just HAD to learn how to cable, :). There seem to be no shortage of cables in your design! It's lovely!